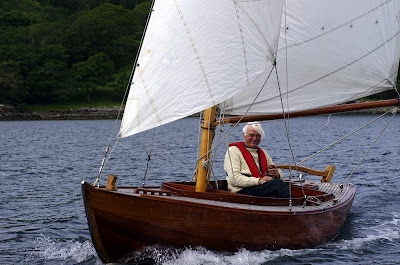 This Juni One Design class was built by the Storebro Boat Building School in Stockholm in 1973 to a design by well known Swedish naval architect Tore Henlin. The original design dates from 1938, when Tore Herlin, Chief Naval architect to the Swedish Navy and a celebrated yacht designer, produced drawings for a safe small yacht that could be used for teaching young people to sail, a “pojkbat” or “boys boat”. The first yacht was named Juni and they became a one design class named after the first boat. 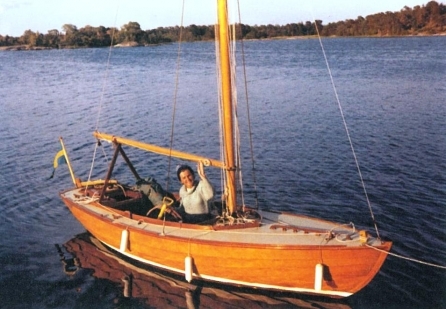 The original Juni was destroyed by a fire and in 1973 the designers daughter, Sonja Henlin, commissioned this boat to be built as an exact replica of the original. She sailed the boat regularly in the Swedish archipelago before selling her at which time she passed through a couple of owners before running into hard times and becoming a little neglected. The present owner bought her in 2005 and started a major refit which took place in stages and saw the boat relaunched in 2012. 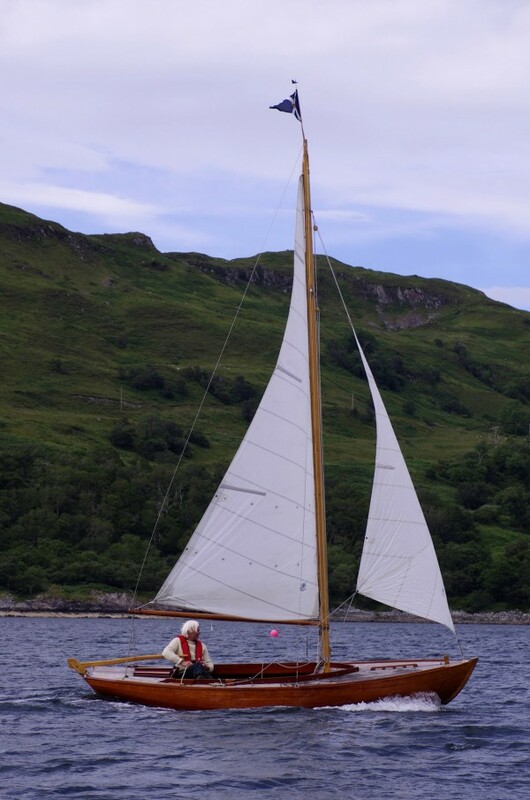 The Juni is an absolutely stunning little boat with a very interesting history, she can be sailed in a breath of wind and easily handled by one person. 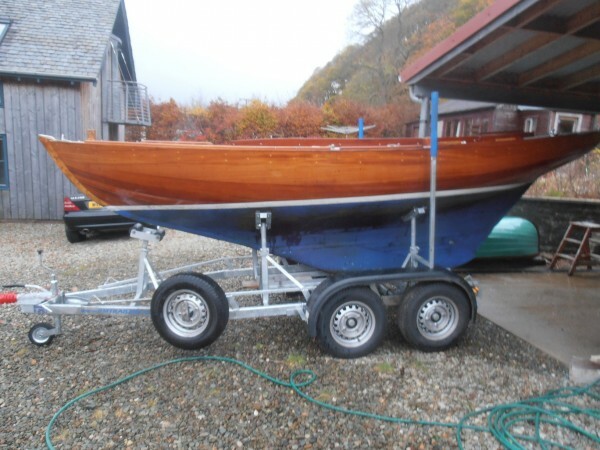 Able to be towed by an average family car this is an easy boat to live with and maintain and looks simply gorgeous! Bought in stockholm by the present owner this special little boat has been restored beautifully and will offer many fun sailing days. 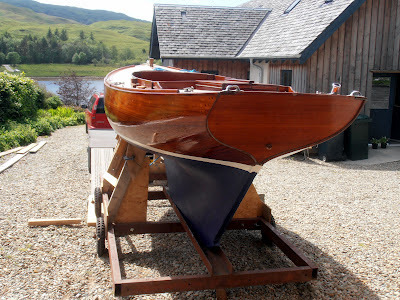 Close seamed mahogany hull all copper rivet fastened to steam bent oak timbers. Hull is finished in varnish so the quality of the original build is plain for all to see. External ballast keel with iron keel bolts. Small amount of internal trimming ballast. Solid yacht laid swept teak deck with mahogany coamings around the cockpit. Varnished mahogany coverboards with a small upstanding toe rail and a varnished king plank. Varnished handrail on the centreline of the foredeck with a heavy sampson post for mooring lines. Stainless steel deck fittings and stem head fitting. This is a half decker yacht with small side decks, aft deck and a large foredeck coming to slightly forward of the mast. Tiller steering to the rudder hung on the sharply raked transom. Fractional bermudan sloop rig on a keel stepped solid built spruce mast with a varnished wooden slab reefing boom. Stainless steel standing rigging to internal stainless chainplates. Hanked on headsail, double ended mainsheet. Easily handled by one person. 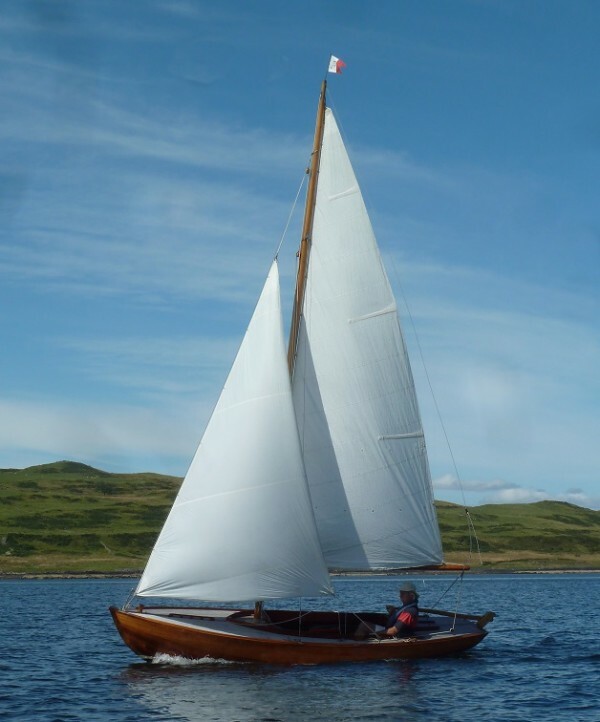 Battened mainsail, working jib and Genoa, all made by Clinton sails in reasonable condition. The main cockpit and stern hatch have close fitting covers made by Owen sails in 2013. Custom built trailer by RM Trailers Southampton, 2012. It has a flushing system which enables the yacht to be launched and recovered without damaging the mechanics. It only has the delivery mileage from Southampton to Argyll.